There are only around 3,500 species of mosquito, which is modest for a family of insects – but their impact on human health and welfare is catastrophic. 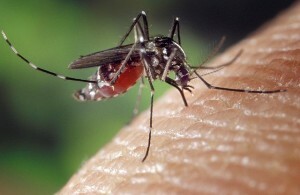 Female Anopheles mosquitoes carry the parasite that causes up to 500m cases of malaria a year while the Asian Tiger Mosquito, Ades albopictus, spreads dengue fever and the chikugunya virus. Mosquitoes have been ready vectors for emergent diseases such as West Nile virus and now Zika. As pointed out by ecologist Sarah Fang, the consensus is that mosquitoes do not do any unique or particular good that would be missed. If you judge them according to ecologist Charles Elton’s gentle but evocative idea of each creature having a niche – much as every English village has a cast of characters who have their place such as butcher, baker and policeman – then mosquitoes seem to have no special purpose on the face of it. So one wouldn’t miss them, surely? The second argument is that mosquitoes have a more general role providing ecosystem services such as pollination by adults or driving the release of nutrients as their young feed on organic detritus. But although mosquitoes can act as pollinators for orchids and golden rods, among other plants, they don’t have a monopoly – they are not especially suited to this role and there are plenty of other pollinators to take their place. Mike Jeffries is a Teaching Fellow, Ecology, Northumbria University, Newcastle. This article was originally published on The Conversation. Read the original article. Where did Zika virus come from, and why Brazil?